Starz, a Lionsgate company has announced the continued expansion of the STARZPLAY premium streaming service with its entry into Spain on Orange TV beginning 28 March. The STARZPLAY premium streaming service will give Orange customers that are also subscribers of Orange TV the opportunity to watch STARZ series all in one place, with future STARZ Originals airing exclusively on STARZPLAY day-and-date with the US, including the debut season of Now Apocalypse from iconic indie-filmmaker Gregg Araki. The latest subscription video on demand service available to Orange TV subscribers, STARZPLAY will be the exclusive home in Spain to STARZ most-watched original series Power, while also offering access to a vast library of original content including such critically-acclaimed programming as The Girlfriend Experience,The White Princess, Vida, The First and an extensive movie library at the touch of a button, for only $5.60 a month. To celebrate this launch, STARZPLAY and Orange are offering a special 30-day free trial for new subscriptions to the service between 28 March and 30 April. Subscribers must start their subscription within that window to be eligible. Orange TV customers who add the STARZPLAY subscription to their entry package can view the content on demand across supported devices (Set-top-box, Smart TV, Smartphone and tablets iOS/Android, PC/Mac and Chromecast). “The partnership with Orange Spain creates an exciting opportunity to further expand the STARZPLAY footprint and to align two premium media companies to deliver STARZPLAY’s vast library of compelling content and a great user experience to all our shared customers,” said International Digital Networks for Starz executive vice president Superna Kalle. 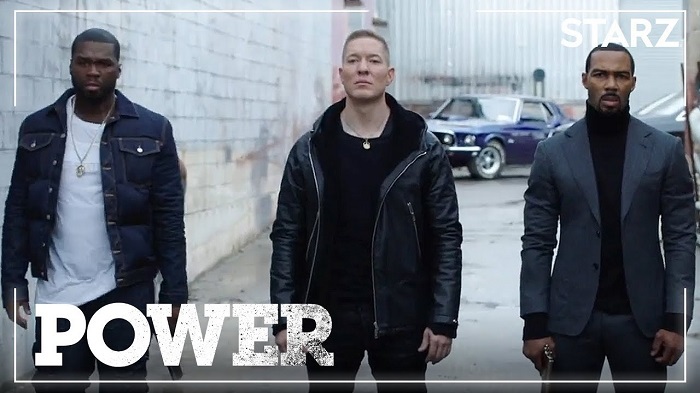 At launch, Orange Spain customers with the STARZPLAY add on subscription will be able to watch the award-winning, fan-favorite STARZ Original series Power for the first time. The first season of the gritty crime drama will be available 28 March followed by the second season of the hit series on 31 March . The second season of the groundbreaking original series Vida will debut day-and-date with the U.S. on Thursday, 23 May New movies and series will be also added to the service throughout the month of April. STARZPLAY is currently available on Virgin Media in the UK and Amazon Prime Video Channels in the UK and Germany, with upcoming launches in France, Italy and beyond. Power is a visionary drama that straddles the glamorous Manhattan lifestyles of the rich and infamous and the underworld of the international drug trade. The cast is led by Omari Hardwick as James ghost St. Patrick, a man trying to escape his role as a drug kingpin for a legitimised life in the elite of NYC; Joseph Sikora as his brother in arms in the drug business, Tommy Egan; Naturi Naughton plays Ghost’s fierce wife Tasha St. Patrick; and Lela Loren is his first love, Assistant U.S. Attorney Angela Valdes. Courtney A. Kemp serves as the creator, showrunner and executive producer of Power. Curtis 50 Cent Jackson, Mark Canton, Randall Emmett and Gary Lennon serve as executive producers. Power averages over 10 million multiplatform viewers per episode and is the most-watched franchise for Starz.